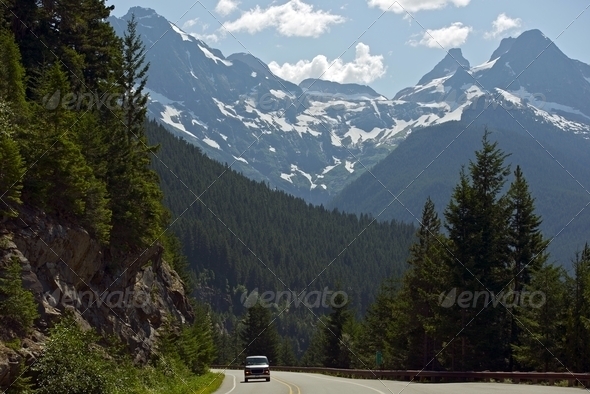 Northern Cascades Mountains Road. Scenic Washington Cascades Mountains. Washington State Photography Collection.